The Efficacy Study for Elementary Learners with Autism Spectrum Disorder (TESELA) is a research study funded by the US Department of Education that focuses on increasing teacher’s use of evidence-based practices for elementary students with ASD. 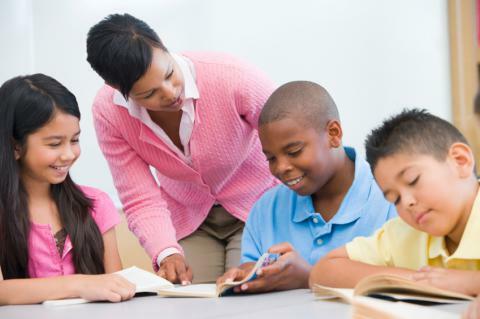 TESELA builds on school and student strengths and incorporates evidence-based practices and strategies in order to assist students achieve their IEP goals and educational outcomes. The study will compare the educational programming at TESELA sites to typical educational programming for students with ASD. Participating schools will be randomly selected to be in one of two groups: The TESELA group or the services as usual group. Schools in the TESELA group will receive ongoing training, coaching, and materials from TESELA staff over the course of 12 months. Schools in the services as usual group will follow their regular education programming for 12 months, will receive training and support in Goal Attainment Scaling, and will receive access to all TESELA resources at the end of the full study. Receive a written report and debrief from the APERS, an assessment of supports for students with ASD. For more information, download the TESELA brochure. Have administrative support to participate.